I got out of the habit of doing this piece last year: right around this time in 2018 i was slammed at work, But, I found a bit of time earlier this off-season (thanks for Conference Calls) and put it together. The core XLS is much more impressive than the text: here’s a Google version of it with the below data. Here’s my 2019 Rotation ranks for every team in MLB, One to Thirty (1-30). As I went through doing this, the ranks ended up naturally dividing into kind of natural groupings. So I’ll show these groupings and then do commentary on the group all together. A “#2 starter” is then one of the next best 15-20 guys, players who either used to be Aces but have grown a bit old (good example: Jake Arrieta or Cole Hamels) or younger guys who are one more solid season from taking the next step up (Luis Severino, Mike Foltynewicz). A #3 starter is a level below the #2, the next 25-30 guys or so. A good solid mid-rotation starter. I have 30 identified. A #4 starter is basically slightly better than the #5 starter. A #5 starter is someone who gives replacement level starting pitching capabilities, a guy who is only slightly better than a 4-A guy. Often either a rookie or an aging FA signing. In the XLS, i do assign quantitative values to assist in the rankings … so you can see who i call a 4, who’s getting a 5, etc. I have Chicago as the #1 rotation in the game. I have them at the top not so much because the top of their rotation is the best … its because man for man, 1 through 5, they’re the best. When your 4th starter is Yu Darvish, a guy who was the Cy Young runner up a few years back and is only 32 .. that’s a tough rotation. Quintana is the Cubs’ 5th starter but was the White Sox’ long time #2. Its just a lot of good, veteran pitching. Boston comes in slightly below b/c I rate Porcello/Rodriguez slightly lower than Chicago’s 4/5. Cleveland has a strong case (as does Washington) for having three legitimate Aces; if their #5 was better they’d probably be #1. If you wanted to argue that Washington is above or below the teams above them I wouldn’t argue too much; I look at the #4/#5 starters and say “who would you rather have?” And I find that i’d rather have Chicago’s arms on the back end than ours. I’d also note that we’ve had Scherzer now for four seasons; no real injuries … and Strasburg gets hurt literally every year. So Washington’s rotation really has to take into account its depth … or lack there of. The Dodgers could jump to the next level if/when Walker Buehler turns into an Ace; i’ve still got him as a #2 but hope to gosh I can get him in Fantasy this year. The Yankees sport four #2 starters … with Severino nearly ready to make the jump to Ace they’re pretty close. I’d rate the Mets higher but the back end of their rotation just-cannot-stay-healthy. Houston’s rotation would look a lot better if they re-signed their former ace Dallas Keuchel (more on him at the end), and Houston could really be good fast if their #1 prospect Forrest Whitley pans out. Lastly in this group is St Louis, which is notable to me b/c their long time ace Adam Wainright is now their #5 starter, just barely hanging on. Remember how much we heard about how the Nats missed out on Michael Wacha in the 2012 draft? Well he’s a pretty solid 4th starter and if he could stay healthy he’d improve this rotation quickly. An interesting grouping here; all six of these rotations are nearly identical in my private scoring … but looking at the names, you can see that some of these teams are prepped to move up quickly (Atlanta) while others are barely hanging on (San Francisco) with aging cores. I’m not sure what to make of Philly’s rotation; are these guys scaring you in a short series? Meanwhile … Tampa in 2018 was so shredded by injuries they went head first into the “opener” strategy … while having a Cy Young winner on staff. They won 90 games this way, and now have back the starters that got hurt AND added a solid 2nd starter in Morton; are they going to challenge the two teams ahead of them? So there’s a pretty significant step down here; I dont have a single “Ace” defined in this grouping … and only Jamison Taillon even rates for me as a #2. How did Oakland possibly win 97 games last year? Texas has bought three lesser-priced pitchers this off season (Lynn, Smyly and Hammel) and stands to improve on their 67 win season. Seattle is in an interesting place: they won 89 games, added Kikuchi and could be pretty good, pretty fast … but their #1 starter is Mike Leake who’d be the Nat’s #5 starter. The first three of these rotations all seem like they should be ranked higher than they are … but then when you look at them, you realize why. Los Angeles is depending on injury-heavy arms, Toronto’s arms would be a top 10 rotation if this was 2014, and Chicago’s rotation is proof of the cynical scouting adage, “there is no such thing as a pitching prospect.” How much better would the Angels be if Shohei Ohtani was there? Probably 10 spots higher, nearly a top 10 rotation, he’s that good. Kansas City is lucky to be this high: they lost 58 games and are rolling out the same crew as last year. Baltimore looks to improve on the rotation that lost 115 games last year by … signing former Nat Nathan Karns. The other 4 starters in their rotation went (in order) 8-16, 5-15, 4-15 and 3-10 last year, none posting an ERA+ better than 85 for the year. And they’re not the worst rotation in the league! Amazing. We all know Miami is trying to do worse than last year’s 98-loss team and, as far as I can tell, has not added ONE arm this off-season. I really don’t know how Milwaukee did so well last year with this crew; they’re all basically #4 starters, backed up by a phenomenal bullpen and a great offense. I hope they can compete again this year, b/c the club has done very little to improve. Cincinnati has made a flurry of moves, adding 3 new starters this off-season …and is still ranked 29th. I mean, Tanner Roark is their #2. But none of these rotations is even close to as poor as San Diego’s projects to be. Maybe you could squint and tell me that a couple of these guys are #4 starters instead of #5 starters. But that’d just return them to the 30th ranked rotation, just slightly closer to Cincinnatis. Luckily for San Diego (breaking news!) 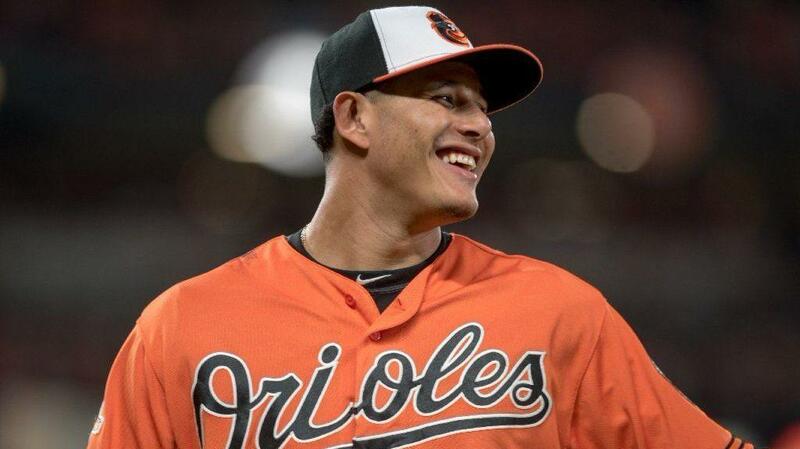 they just signed Manny Machado and Baseball America has ranked their farm system #1 in the league … which 13 of the last 14 years means they’ll be in the playoffs in two seasons. So hopefully there’s some big-time San Diego prospect arms to go with those bats, and we’ll see you in the playoffs in 2020. So, what Free Agent pitchers could move the needle of the above? As of this writing, the biggest FA pitcher who could really move the needle is obviously Keuchel; i rate him as a #2, so if one of the lower-ranked teams replaces a 5th starter with Keuchel they may very well jump up 5-6 spots. Other impact free agent pitchers available who could change the above rankings include Gio Gonzalez, Clay Buchholz, and Ervin Santana (update: Santana signed minor league deal with the White Sox, which may put them a couple spots higher). Past that, the remaining FAs seem like 4/5 types who wouldn’t really change any of the rankings b/c they’d likely be replacing a 4-A guy at the back of the rotation. That list includes Bartolo Colon,Yovani Gallardo, Miguel Gonzalez, Edwin Jackson, James Shields, and Chris Tillman. Yeah, I said Bartolo Colon; i think he can still pitch. Maybe not that well … but it wouldn’t surprise me if he gave it one last season. 13 of the last 14 Farm systems they’ve ranked #1 made the playoffs within 2 seasons of being ranked #1 … and the 14th made it within 3. Sure enough … every team who has been ranked by BA as the #1 farm system since 2005 has made the playoffs within 2 years, with the exception of Kansas City … who made it in 3 years and actually WON the World Series on the backs of their #1 rank-driving players. You’ll notice I put in two rankings in 2012: that was the year that the Nats were ranked #1 … then traded a ton of their depth for Gio Gonzalez and got dropped 10 points in-between the time that Baseball America published their annual rankings and they posted their rankings online … so technically the Nats qualify here, but after that big trade Texas ascended to #1. So, with the Padres ranked #1 right now … and having just added one of the best players in the game … its a good assumption that they’re back in the playoffs just as soon as their top-end prospects matriculate. Do I really think they can overcome the high-spending Dodgers to actually WIN the division? A tougher call; they’re going to need to commit to spending what it takes (in terms of dollars or prospects) to fill holes. Bryce Harper is not a Free agent for two more seasons. So why the F is everyone writing glaring headlines about him right now?? I thought the Bob Nightengale article was a complete hack job against the Nationals, completely unnecessary and taking gratuitous shots at the organization over a situation that could go a dozen different ways between now and November, 2018 when he’s ACTUALLY a free agent. And then the subsequent Jeff Passan article that followed it a complete over-reaction, basically pulling one potentially innocuous quote out of Nightengale’s article to write a 1,000 words chastising the entire Nats organization. Was it really that slow of a news day in the National Harbor that these were the stories that had to be written yesterday?? I have never really liked Nightengale’s style of reporting; he was the one that trashed Adam LaRoche earlier this year by quoting a bunch of unnamed members of the White Sox front office, essentially enabling them to write their version of the narrative of that situation without having to put their name on it, but the Passan article caused me to lose a bit of reporting respect for him too. Passan’s passing judgement on the entire Nats organization by virtue of one anonymous quote from an unnamed Nationals Executive who commented that the Nationals were “not prepared” to meet a 10yr/$400M contract. Here’s a thought: stop quoting anonymous people who probably just threw out a line passing you in the hallway, or who have an axe to grind and are too chicken-sh*t to put their name behind their words, and put some journalistic integrity behind your reporting. OF COURSE the Nationals are “not prepared” to meet a $400M contract demand. Who is?? Are the Yankees, given the massive luxury taxes now built into future CBAs? Are the Dodgers, who just got told to cut their debts or risk further penalties? Are the Cubs, who just won a World Series on the backs of a bunch of pre-arb sluggers and reasonably priced arms? What other organization in baseball has the financial where-with-all?? Certainly not the Nationals, who (thanks to a short-sighted deal and a ridiculously argumentative owner in Baltimore) are stuck in one of the worst RSN deals in the majors and thus are missing out on literally tens of millions of dollars of revenue? How does any team commit a quarter of their payroll to one player in the modern age, especially one that has shown himself to be as injury-prone as Harper? Harper is a great player. Is he worth being compensated as easily the highest paid player in the game? Not in my book. He’s not better than Trout or Kershaw. He’s not nearly durable enough to merit that kind of commitment from a sane organization and that puts him behind some of his other compatriots right now (Manny Machado for example). He’s a product of his headline inducing agent Scott Boras and these two writers (well respected and nationally known) fell for it. Again. I’m sure he’ll get some ridiculous contract in 2018, but its no small secret that it probably won’t be the Nationals. Can we go back to arguing about whether we should be saving a 19-yr old who has never played above A-ball instead of acquiring a recent NL MVP or a guy who has finished in the top 5 of Cy Young voting five straight years?? Perhaps you could quibble that Tyler Moore wasn’t a lock , that he was always in competition with the slew of RH-hitting veterans brought in to camp this year (I didn’t necessarily think this once they offered him a contract for 2016). Perhaps you could have argued that Danny Espinosa wasn’t the presumptive starter ahead of Trea Turner. Perhaps you could argue that the team was going to do something crazy with Tanner Roark vs Bronson Arroyo. But towards the end of Spring Training, I was proven wrong as the team made some interesting choices to start the season. Tyler Moore waived, outrighted and then traded to Atlanta. Probably not a huge surprise; one can argue that the only reason Moore wasn’t waived LAST spring training was thanks to the slew of injuries the team suffered. He hasn’t been successful as a PH, he never could replicate the success he had in his rookie year, and he really could only play 1B. The team made a conscious effort to bring in veterans to compete with him, and the likes of Scott Sizemore, Chris Heisey, Reed Johnson, Stephen Drew all out-performed Moore in one way or another. And all those guys can play other positions besides the sedentary 1B. Chris Heisey making the team: Personally I thought Sizemore had the inside track, but he was assigned to minor league camp early. In fact, when you look at their stats its a head scratcher: Sizemore hit .324 with a ton of power while Heisey hit just .238 but came on strong towards the end of spring training. Moreover, Sizemore plays infield while Heisey only plays outfield … so Sizemore is presumably a more valuable player defensively. Cynics will note that Heisey has played for Baker before. At least Sizemore stuck with the team and accepted a minor league assignment. Honestly I also thought the team would have considered Drew before Heisey, again for positional flexibility. Matt Belisle ‘s contract guaranteed, and he makes the team instead of off-season acquisition Trevor Gott. By the ST numbers this move makes some sense; Belisle’s ERA and WHIP was decent while Gott’s was respectable if not eyepopping. Once again, the cynic again would say this is entirely due to the options availability on Gott and Belisle’s history of playing for Baker. I’m slightly surprised they didn’t go with 8 relievers since a 5th starter isn’t needed for a while. 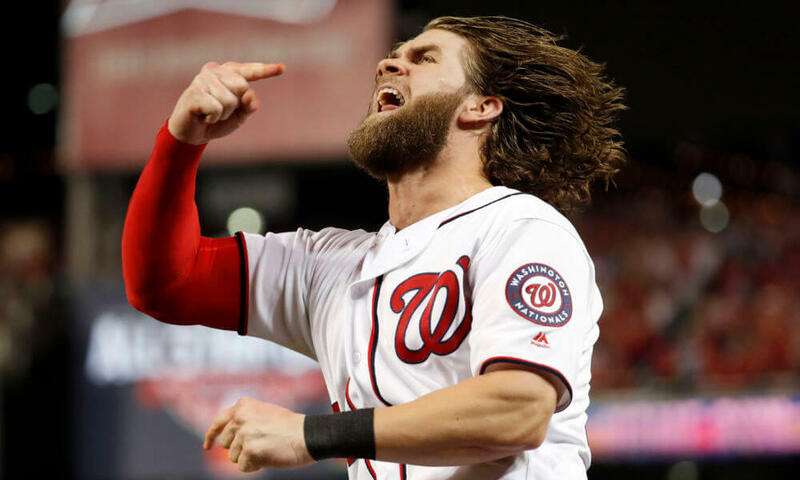 Espinosa over Turner: never in question for me once we hired Dusty Baker, but many pundits seem shocked that Turner is in AAA to start the season. Scouts seem to have forgotten that Espinosa was a *better* shortstop than Ian Desmond all these years, but played 2nd base and 2nd fiddle thanks to seniority (in the same way that the superior Manny Machado played 3B instead of taking over at short for a veteran … and now is “stuck” there despite being one of the best SS prospects of his generation). Roark over Arroyo: this one solved itself early, when Arroyo tore his UCL tore his labrum tore his rotator strained his rotator cuff while Roark was throwing zeros for the spring. I continue to be in the camp that Roark, if just left alone and given a rotation spot, will produce at a high level (just like he did in 2014). I think his 2015 was completely an aberration, an example of how playing guys out of position ends up with sub-optimal performance (ahem, see Jurgen Klinsmann and the US Mens National Team’s ridiculous 2-0 loss to Guatemala last week in WC qualifying). What do you guys think? Do you think Belisle over Gott, Heisey over Sizemore or Drew (or even den Dekker), Espinosa over turner make this a better team starting out? Or do you feel like Dusty has gotten some of his “buddies” back together and he’s valuing relationships over talent to start the season? Better question: Will it matter? I mean, we’re talking about the 7th man in the bullpen (who may get 1 inning the first week) and the last guy off the bench (who might get 2 or 3 low-leverage ABs the first week). Is this making a mountain out of a mole-hill, or is it more about the principle of the issue? Here’s the first in a 7-part series where we delve into the pitching staffs from start to end, from the majors all the way to the GCL. We start with the rotations, review all the starters and then hit up the relievers. We try to predict as we go, which I’ll summarize at the end with a big “2016 predictions” piece. Here’s 2013’s post and then 2012’s post. We never got to 2014 as I was switching jobs and this series takes a ton of time and I couldn’t do it. All stats are courtesy of either Baseball-Reference page or via Fangraphs page. Also useful here are the Big Board and the Nats Draft Tracker as always. Washington starters. The rotation at the beginning of the season was Scherzer, Zimmermann, Strasburg, Gonzalez, Fister. By the end of the season it was basically the same, with Roark replacing Ross who had replaced Fister. 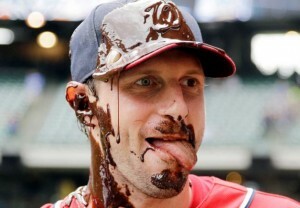 Max Scherzer: 14-12 with a 2.79 ERA, 0.918 whip with 276/34 K/BB ratio in 228.2 IP (33 starts). Look at that K/BB ratio again: that’s more than 8 strikeouts for every walk for a power pitcher. His season also included two no-hitters (both of which easily could have been perfect games) and a one-hitter, and by one measure (Game Score) his season-ending 17-K no-hitter was nearly the best pitching 9-inning performance ever. If you needed another excuse to ignore W/L records, just look at Scherzer’s record on the year given his peripherals. But even given his season on a macro level, some were rather disappointed in Scherzer because in August, when the chips were down and this team collapsed, he was 0-3 with a 6.43 ERA in 5 starts. Nonetheless, Scherzer more than earned his salary in 2015 and I see no reason not to expect similar results in 2016. Outlook for next season: 2nd straight opening day start. Jordan Zimmermann: 13-10, 3.66 ERA, 1.205 whip with 164/39 K/BB over 201.2 IP (33 starts). His ERA was a point higher than in 2014, his WHIP was 10% higher and his FIP was inflated to a very un-Zimmermann 3.75 level. Not exactly the walk year season he was hoping for. Nonetheless, Zimmermann should make out like a bandit on the FA market, where he occupies the lead spot in the 2nd tier of FA pitchers and should do just fine. Unfortunately, it seems like his time in DC is up; we don’t know the size or length of the contract extension he turned down, but it seems obvious that the team didn’t give him what he and his advisers thought he deserved. He’ll be oft-mentioned in the coming weeks as he finds a new home and it’ll be a shame to see him go. Outlook for next season: pitching for another team: Signed with Detroit for 5yrs/$110M. Stephen Strasburg: 11-7, 3.46 ERA, 1.107 whip with 155/26 K/BB in 127 IP (23 starts). His end-of-the-year numbers don’t look nearly as bad as the debacle that his season really was. He had a 6.55 ERA through his first 10 starts, then missed most of June and July with two separate D/L trips. Upon his return, he was awesome, dropping his season ERA from 5.16 to 3.46 thanks to 9 quality starts (out of 10) and 5 double-digit strikeout games. But, the damage was done; he was awesome down the stretch in a series of games that ended up being meaningless. On the bright side, the Nats likely save a few million dollars in their arbitration case. Lets just hope that whatever he finally figured out in Aug and Sept continues into next season. Outlook for next season: Nats #2 starter. Gio Gonzalez: 11-8, 3.79 ERA, 1.423 whip with 169/69 K/BB in 175.2 IP (31 starts). Another year, another inconsistent season from our #4 starter. The team was 16-15 in his 31 starts, which makes sense since he had exactly 16 quality starts. I think at this point Gio is what he is: a decently valued 4th starter who earns his salary and puts up enough value to keep his spot. The Nats will ride his arm until his contract expires. Outlook for next season: Nats #4 starter. 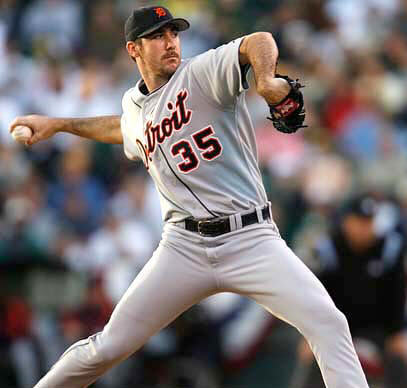 Doug Fister: 5-7, 4.19 ERA, 1.398 whip with 63/24 K/BB in 103 IP (25 appearances, 15 starts). MLB’s most underrated starter over the past few years finally had father time catch up to him, going 4-7 with a 4.60 ERA in 15 starts before the team mercifully pulled the plug. His average fastball velocity has been dropping, but dropped precipitously this year (down to 86.1) and just was too hittable. To Fister’s credit, he accepted the move to the bullpen instead of taking the “easy” way out and claiming a D/L trip, and was effective in 17 relief innings to make his season ERA look a little more palatable. Nonetheless, it was not exactly the way the Nats drew things up. Fister faces an uncertain future; he went from being guaranteed a Qualifying Offer to maybe struggling to get a guaranteed offer. In the end, I can see perhaps a west coast team taking a flier on him as a 5th starter with a pillow contract for him to try to regain some value. Outlook for next season: Pitching elsewhere, hopefully as a 5th starter somewhere. Joe Ross: 5-5, 3.64 ERA, 1.109 whip with 69/21 K/BB in 76.2 IP (16 appearances, 13 starts). Ross initially got called up to cover for Strasburg’s first injury, and was impressive enough to be the first man in line to replace the suddenly ineffective Fister. He got another 10 mostly effective starts, getting shut down in early September after two ineffective starts where he was uncharacteristically wild (9 of his 21 MLB walks were in his last 2 starts) as he reached a soft innings limit for the year. No complaints here; Ross quickly guaranteed his rotation spot for 2016 with his work during the summer and is making the trade where he was acquired looking even more lopsided. Outlook for next season: Nats #3 starter. Tanner Roark: 4-7, 4.38 ERA with 70/26 K/BB in 111 IP (40 appearances, 12 starts). The Nats thanked Roark for his “found gold” 5-win 2014 season by acquiring Scherzer and pushing Roark to the all-important long-man/slop innings guy. Not exactly what Roark probably expected. He did get 5 starts covering for Strasburg in late May-early June but otherwise was yanked all over the place; sometimes being a one-inning middle reliever, then getting 3+ in a blowout loss, even getting higher leverage innings in the 8th and 9th (he even had a save in May). When Fister proved ineffective, the Nats didn’t give the slot to Roark like they should have, instead calling up Ross and leaving Roark pitching in relief (their reason was that he wasn’t stretched out). When it became clear Ross was going to run out of innings, they sent him back to Potomac briefly to “stretch out” and Roark finished the year in the rotation with 6 relatively ineffective starts. Not the year Roark wanted. There was an incredibly long-winded article in beyondtheboxscore.com that seemed to point at Roark’s position on the rubber as the cause of all his ills, but i put Roark’s struggles more simply: pitchers are creatures of habit and when you take a starter and suddenly tell him he’s a one inning reliever, you shouldn’t be surprised when he doesn’t immediately perform in that role. The question the Nats have to face is this: was 2014 a fluke? 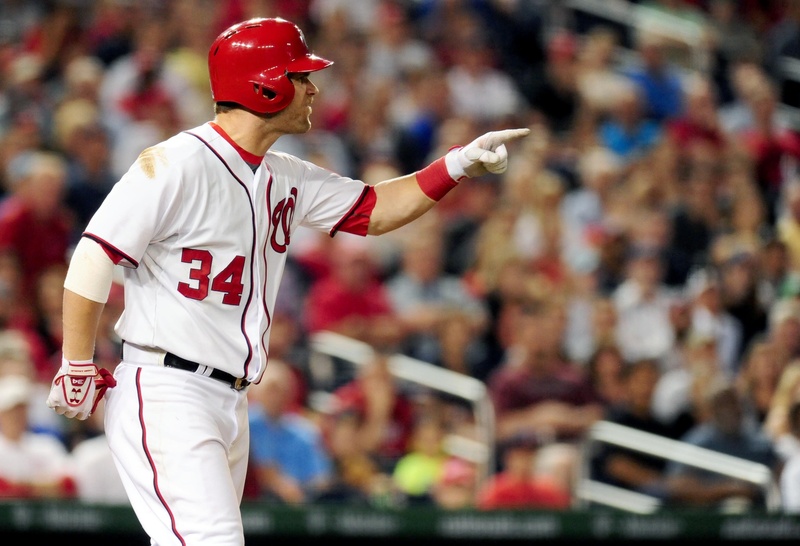 Do you pencil in Roark for the #5 starter in 2016 or do you try to acquire his replacement? Do you have an open competition between Roark and the slew of AAA arms for the spot? Personally, I’m a Roark believer and think he’ll be just fine if you install him in the rotation and let him work. Outlook for next season: Nats #5 starter. Taylor Jordan: got one spot-start in early June, getting pounded by Toronto. He provided long-relief cover a few times here and there throughout the season but wasn’t used even after being called up 9/1 (perhaps an innings limit?). See AAA write-up for more. A.J. Cole got one spot start in late April, getting destroyed by Atlanta in the epic 13-12 game. I was highly critical of this particular call-up at the time, questioning why the start didn’t go to Roark at the time. Cole got two other mop-up games to make his ERA slightly less awful for the year, but raised serious questions as to his future. See AAA write-up for more. Rotation summary: Scherzer was good but struggled when the chips were down. Zimmermann regressed, as did Gonzalez. Strasburg was either awful or hurt most of the season. Fister was abhorrent. Roark was wasted. Yet despite all that negativity surrounding our rotation, the Nats starters as a group were still ranked pretty highly : 3rd in fWAR, 7th in ERA, 4th in FIP. 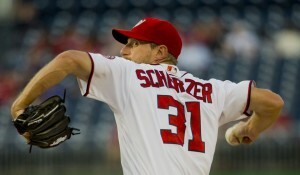 So, it was still a pretty good rotation but not nearly as good as we thought they’d be upon the Scherzer acquisition. Washington relievers. On opening day the MLB bullpen was Storen, Treinen, Stammen, Thornton, Cedeno, Barrett, Roark. By the time it was over, the team had used no less than *20* relievers. Not exactly how they sketched it out in the off-season. Lets talk about all 20 guys; here they are ordered with closers first, then descending by IP. Anyone with less than 10 innings is relegated to the end with generally a shorter write-up. Drew Storen was having a near-all Star calibre season closing, holding a 1.69 ERA with 46/9 K/BB over 37.1 IP and 29 saves. Then suddenly he was demoted thanks to the Papelbon acquisition. His numbers post 7/29/15: 7.13 ERA in 17 innings, which culminated with his 3-walk performance in the season-ending Mets loss in early September (his 5th blown save of the year). Two days later he slammed a locker on his thumb, broke it and was done for the season along with his team. We’ve argued this one to death; there are people who like to argue that players are machines and they are highly paid to do whatever the team asks of them. I maintain that this team has tried over and over to replace Storen thanks to a couple of poorly-timed games of ineffectiveness that just happened to occur in the two NLDS series this team has managed to reach, and the “layering” of Papelbon over top of him was the icing on the cake of his Nats career. I’m sure Storen wants out of town, and I’m sure he’ll be a classic “change of scenery” guy. Mike Rizzo needs to make it happen. Outlook for next season: Closing for another team. Jonathan Papelbon was acquired in late July straight up for a relatively low-level prospect (Nick Pivetta), an indication of how desperate Philadelphia was to rid themselves of him. He pitched a grand total of 23.1 innings in two months, through little fault of his own clearly disrupted the karma of the bullpen, and entirely at fault on his own took offense to Bryce Harper‘s non-defense in the press of Papelbon’s over-reaction and subsequent plunking of Manny Machado in a game earlier in that week and decided that calling out one of the game’s premier hustlers for “not hustling” down the line on a routine pop-up was a good idea. Fast forward to the umpteenth unnecessary embarrassing moment for the franchise and perhaps the final nail in the coffin of the inexplicably unaware and dense manager Matt Williams. Fun fact: Papelbon bought a $2.9M house in Alexandria exactly one week before choking his teammate on national TV and getting suspended for the rest of the season. Good timing. I know that Harper has “reached out” to Papelbon and they’re all saying this is just ‘brothers fighting” and all that BS, but Rizzo has to be shopping him for whatever he can get for him, upto and including eating the entirety of his $11M 2016 salary. Many think he’s completely untradeable, but i’m guessing someone will take a flier on him. Outlook for next season: Closing for another team. Blake Treinen was the busiest guy in the pen this year (outside of sometimes starter Roark that is), throwing 67.2 innings in 60 innings as mostly an 7th/8th inning guy. He had a 3.86 ERA, a 3.49 FIP, and a 1.389 whip, all incrementally worst in 2015 than the year before. 65/32 K/BB in those 67IP. Treinen features a mid to upper 90s sinking fastball that has so much movement that TV announcers sometimes think its a changeup, yet still has some really odd splits. Righties had just a .493 OPS against him on the year … while lefties teed off to the tune of a .934 OPS. Odd because you’d think that a guy who could throw a fastball that tails away from lefties like Treinen would be more successful. Another oddity; he had a 5.90 ERA at home and just a 2.33 ERA away. So basically, if he was facing a righty on the road, he’s your guy. He has limited his repertoire to just two pitches these days (2-seam sinker and a wipeout slider), and seems so far removed from having anything resembling a third pitch that any thoughts of returning to the bullpen seem long gone. Is Treinen just a ROOGY (right handed one out guy?) Do teams even have that? Maybe his goal for the off-season is to figure out some pitch that is effective against lefties. He also needs to work on his control; his walk rate of 4.3 per nine just won’t cut it for a higher leverage reliever. Outlook for next season: back in his 7th/8th inning role. Felipe Rivero, 2.79 ERA, 2.64 FIP, 0.952 whip and 43/11 K/BB in 48.1 relief innings. Rivero was a revelation for the team this year, converting to relief for the first time in his career and really shining. He has some serious heat; max fastball of 99.8 and an average of 95.5 from the left side, but really was a two pitch pitcher this season; fastball and slider (fangraphs distinguishes his 4-seamer from his 2-seamer but the velocities are exactly the same; does he throw two different, distinct fastballs?) Unlike Treinen, Rivero got righties and lefties out at equal clips (.200 BAA for righties, .198 for lefties) and really came into his own in the bullpen. He’s much more than a matchup-lefty and could be a valuable bullpen member for a while. Can he return to starting? Hard to say; does he have a third pitch? Years of starting in the minors seems to indicate that his future remains in the pen. Outlook for next season: reprising his 7th inning reliever role. Matt Thornton had an excellent age 38 year; 2.18 ERA, 3.52 FIP, 1.065 ERA in 41.1 relief innings across 60 appearances. His FIP is much higher than his ERA because he doesn’t rely as much on the strikeout; he had just a 23/11 K/BB ratio in those 41.1 innings. His splits showed some interesting tidbits: 10 of his 11 walks on the year came against right handed hitters, while he had an 11/1 K/BB ratio when facing lefties. Thornton is best judged by his performance against lefties and he was excellent; .198/.205/.279, and this is why I’m an advocate of resigning him for 2016. I’m still kind of baffled by his being waived by the Yankees frankly. The FA market for left handed relievers is a little busy; I count 20 lefties out there. But not all of them were as effective as Thornton was in 2015. Can the Nats re-sign him? Do they want to? They do have several in-house loogy replacements to be discussed, if they wanted to save a couple million dollars off of payroll. Outlook for next season: another season as a loogy, for the Nats or elsewhere. Casey Janssen: when the Nats acquired Janssen, a three year closer for the Toronto Blue Jays, I figured the team’s late-inning bullpen issues were solved. The loss of Rafael Soriano was inevitable (and, frankly, not really that important given how badly he finished 2014), but the loss of Tyler Clippard was going to be hard to fix. But plugging in a former AL east closer into the 8th inning role? No worries. Well, that’s not quite how it went. Janssen got hurt in spring training, missed the first 7 weeks of the season … and then underwhelmed once he arrived. His numbers on the season: 4.95 ERA, 4.05 FIP, 1.150 whip, with 27/8 K/BB in 40 IP. Perhaps the 4.95 ERA is skewed by a few bad outings: scanning through his game log he gave up 4 runs on 5/30, another 4 runs on 8/31, 3 more the following day (in that infamous St. Louis series) and 2 on 9/27. So of the 22 runs he allowed all year, 13 of them were in four outings. Perhaps so, but his job as an 8th inning guy is not to allow these massive rallies, ever. His fastball velocity has been declining and his 4-seamer sat at just 88.3 MPH on average this year; is that fast enough even if you have pinpoint control and can throw 5 pitches? Apparently not; Janssen’s struggles were a big part of the bullpen’s struggles this year, a big reason they felt the need to acquire Papelbon, and in crunch time towards the end of the season Williams didn’t trust him to give him important assignments. The Nats bought out his option year and cut ties with him; the end of a disappointing season together. Outlook for next season: middle reliever for another organization. Aaron Barrett: started out the year looking good as a key 6th/7th inning righty, struggled starting in May, hit the D/L in June, got lit up on Aug 5th to the point of getting demoted to AAA, at which point he (finally) told team doctors that his arm had been bugging him for weeks (months even). 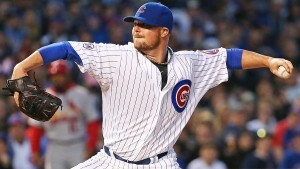 A quick scan showed a blown UCL and he underwent Tommy John surgery on September 5th, 2015. Final season stats: 4.60 ERA but a 2.21 FIP, 1.193 whip and 35/7 K/BB in 29.1 innings. Look; you don’t want to wish ill will on a guy for trying to gut it out, but at what point was his arm issues impacting his performance on the field and costing the team games? Outlook for next season: on the 60-day D/L for most if not all the season. Sammy Solis was closer to a DFA than a call-up at the end of 2014, a season mostly lost to injury and lost promise of the former 2nd round pick. But a slew of injuries forced him into action in the Nats bullpen and he held up, throwing 21.1 innings of 3.38 ERA, 3.46 fip, 1.359 whip with a 17/4 K/BB ratio. That’s not too bad of a debut, even if it was his age 26 season. 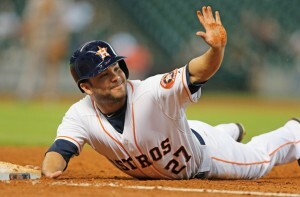 He showed a reverse split interestingly, with lefties hitting him at a .355 clip (righties: .255). I have a feeling that the team is likely going to look elsewhere for a second lefty out of the pen. Option number one is probably resigning Matt Thornton, which will relegate Solis to AAA/spare part duty in Syracuse. Outlook for next season: Syracuse bullpen/lefty reliever coverage. Matt Grace; 4.24 ERA, 3.08 fip, 2.00 whip with 14/8 K/BB in 17 IP across 26 outings. Grace is a nice story, a guy who really came on strong in 2014 and earned his 40-man slot. But his numbers in his first go-around in the majors were less than ideal. See Solis’ write up and then add on a little pessimism and you have Grace right now; too many baserunners and not enough ability to get right handers out (.429 BAA) to be trusted as an effective major league reliever right now. Outlook for next season: As with Solis Syracuse bullpen/lefty reliever coverage. Except he’s “behind” Solis. Rafael Martin: everyone’s favorite story. Signed out of the Mexican leagues, shot up the system posting just ridiculous numbers in AA and AAA in 2013 and 2014. Finally got his shot and had some really odd stat lines: 5.11 ERA, 4.76 FIP, 1.378 whip with 25/5 K/BB in 12.1 major league innings. That’s right; he had an 18.2 K/9 ratio. He struck out 8 of the first 12 batters he faced, including a pretty memorable debut where he struck out 5 guys in two innings in Boston in mid April. He was looking like a made-for-TV-movie story until he took a rough outing in Miami and got sent down … not to be recalled until 9/1. He threw a bunch of garbage time innings in September and got his ERA back down but kept striking guys out with his upper 80s arsenal. Why didn’t he get more of a shot when the chips were down and other right handed relievers were struggling in August? I don’t know. Honestly, I think he’d make an excellent long-man/middle reliever, the classic “7th guy out of the pen” with his ability to go long and spin the ball in there as a change of pace versus harder throwing guys. Something tells me though that he’s going to be back in Syracuse as bullpen insurance. Outlook for next season: Syracuse bullpen/righty reliever coverage. David Carpenter: acquired in trade from the Yankees for Tony Renda, threw 6 innings in the majors for the team, got hurt, went to the 60-day D/L with a shoulder issue, outrighted on 11/15/15, refused the assignment and has already signed with Atlanta for 2016. Not exactly the best return for a former 2nd round pick and slightly surprising he was outrighted while there was still room on the 40-man roster (and still is room as we speak). Outlook for next season: in Atlanta organization. Craig Stammen: threw just 4 innings before requiring elbow surgery. A huge blow for a guy who had been a team leader in IP and an effective middle reliever for years. He’s arbitration eligible, and the team could not arrive at an equitable deal ahead of the 12/2/15 non-tender deadline, so Stammen was non-tendered. I have a feeling that if the team still wants him for 2016 and will work out some sort of heavy incentive-laden deal to keep him in the fold (he’s been with the organization since 2005 after all, tying him for the longest tenured player still with the team now that Ian Desmond has declared FA. Outlook for next season: hopefully back in his 7th inning middle relief role, perhaps pitching elsewhere. Xavier Cedeno: threw 3 innings, gave up 3 hits, 2 walks and two runs, then was inexplicably DFA’d and traded to the Dodgers for “cash.” The Dodgers then turned around and traded him to Tampa, where he put up a 2.09 ERA in 43 IP in 2015. What the heck happened here? We talked about it in this space when it happened, and the quick hook DFA was as inexplicable then as it seems now. Was this perhaps the first precursor into the questionable bullpen management that plagued Matt Williams all year? Outlook for next season: a valuable loogy for Tampa. Taylor Hill: provided 12 innings of bullpen coverage in Late May-Early June: see AAA write-up. Abel de los Santos: added to the 40-man, called up and started his service clock (oh, and burned an option too while they were at it) so that he could throw to exactly eight (8) batters in mid-july before being returned to Harrisburg. Ridiculous use of resources frankly. See AA write-up. Position players Clint Robinson and Tyler Moore became the 1st and 2nd position players to ever hurl for the Washington franchise, each throwing the final inning in a blow-out loss. Bullpen summary: Ugh, what a mess from start to finish. Under performance, injuries, and a rotating door of guys trying to perform. By the end of August there wasn’t anyone even worth trusting in that pen, as evidenced in the critical Mets home series where the season was lost. Even given that, the bullpen as a whole ranked 12th in fWAR, 10th in ERA, 9th in FIP, so it wasn’t really that bad league-wide. Which surprised me too when I went to fangraphs to pull the data. Some more telling stats: 7th in the league in Blown saves with 27. 17th in total saves. 17th in Holds. Pitching summary overall: we expected more, and in the end the performance of the staff and bullpen probably wasn’t the sole reason this team failed to win the NL East. But it didn’t help.